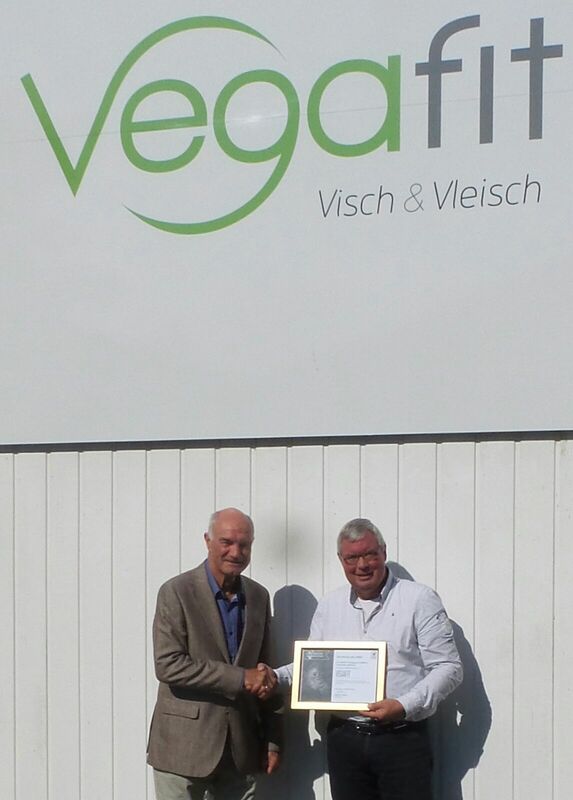 The Hague, 22nd September 2016 – Today, Go Palm Oil Free awarded her first certificate to Vegafit, a brand of vegan products, who received it with great pride. 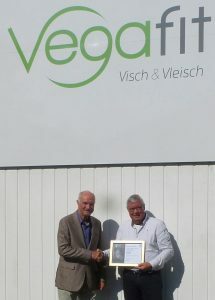 Vegafit products are to be found on the shelves in several European countries (including The Netherlands and Germany). 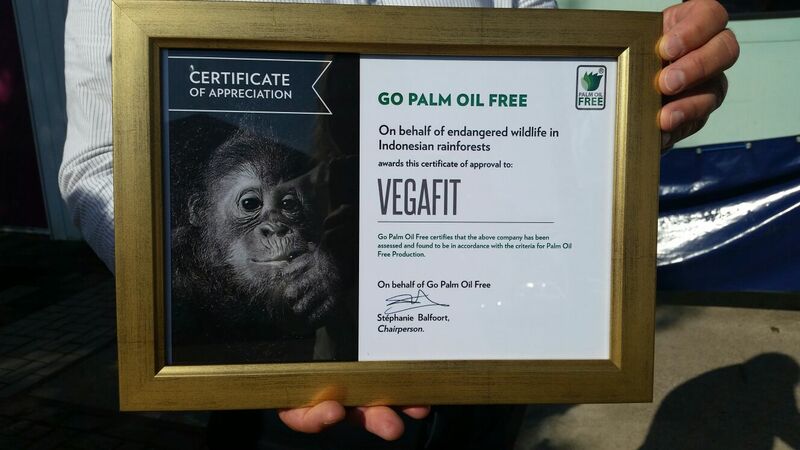 And going forward, Vegafit has permission to proudly place the Palm Oil Free logo on its products. ‘We are tremendously pleased that the first certificate has been awarded. Soon even more brands will follow’ says Stéphanie Balfoort, chairwoman of JAAN The Netherlands. ‘It cannot go quick enough for us. Every hour, rainforests the size of 300 football fields are destroyed. The rainforest is the habitat for the critically endangered Orang-Utan and many other (endangered) species’. 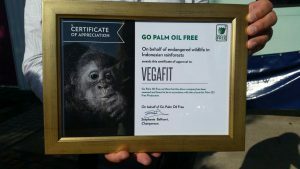 Go Palm Oil Free is a collaboration between the Indonesian organization Jakarta Animal Aid Network (JAAN) and the Dutch foundation An animalfriend (EDEV). 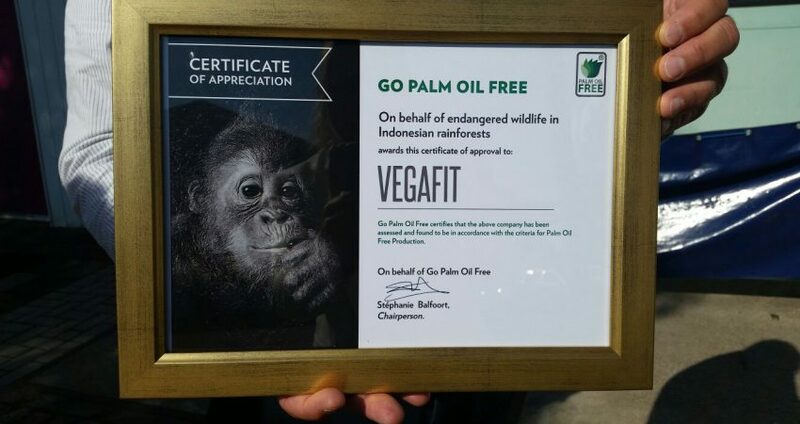 Because the rainforests are rapidly being cut down for the production of palm oil, despite attempts by multinationals to change this by establishing RSPO, EDEV and JAAN decided to achieve a certificate for palm oil-free producing brands. EDEV and JAAN want to encourage consumers to consume palm oil-free as well as companies themselves to produce palm oil-free.